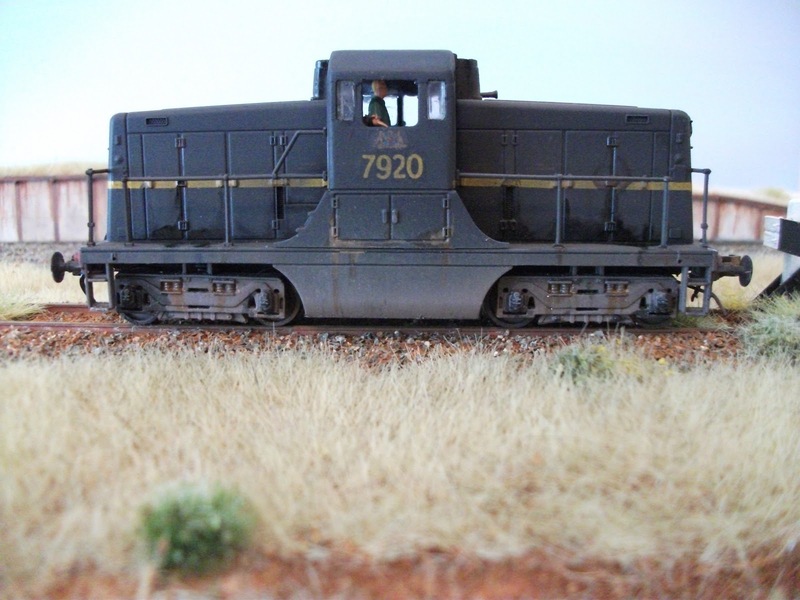 The Musings of a NSW modeler...: SHUNTED! Whilst waiting for some customer paint work to dry and in between fitting some detail parts to some Jumbo's , i managed another little project for myself. 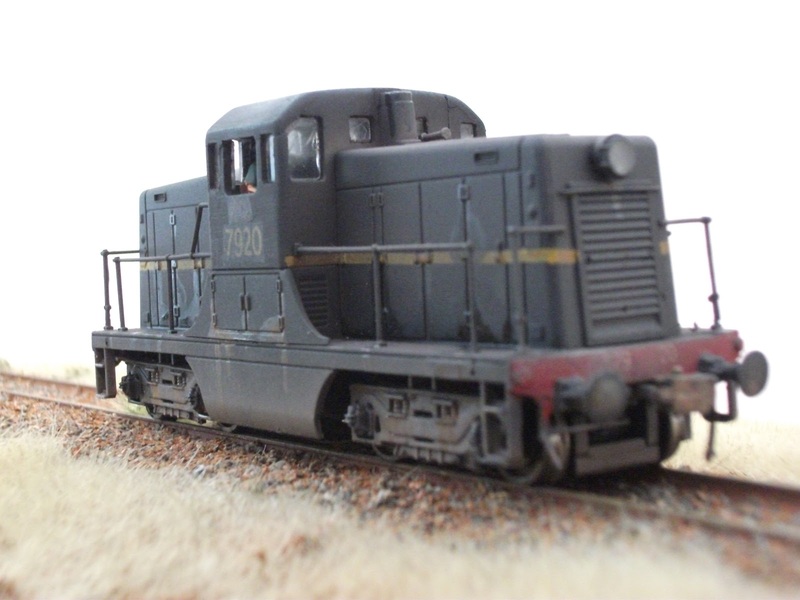 One of the first NSW conversions I ever attempted was to change a GE 44 ton switcher into a 79 class diesel shunter. In fact my profile picture is of that first conversion. At that time i was infatuated with the tuscan scheme as on the 44s, 43s, 42s etc etc and adapted a rendition of that scheme for the 79er. 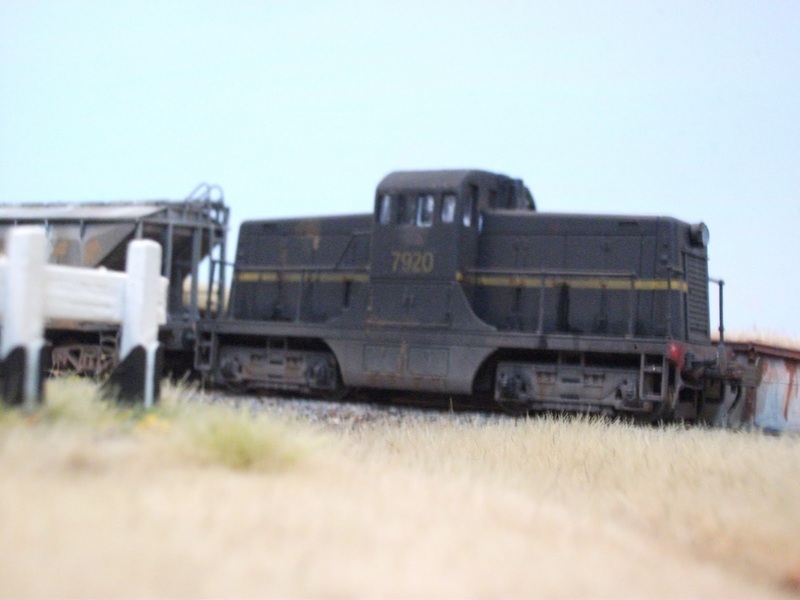 I then bought another 44 tonner and replicated 7920 which i then sold to fund some other projects when I changed the era I was to model. 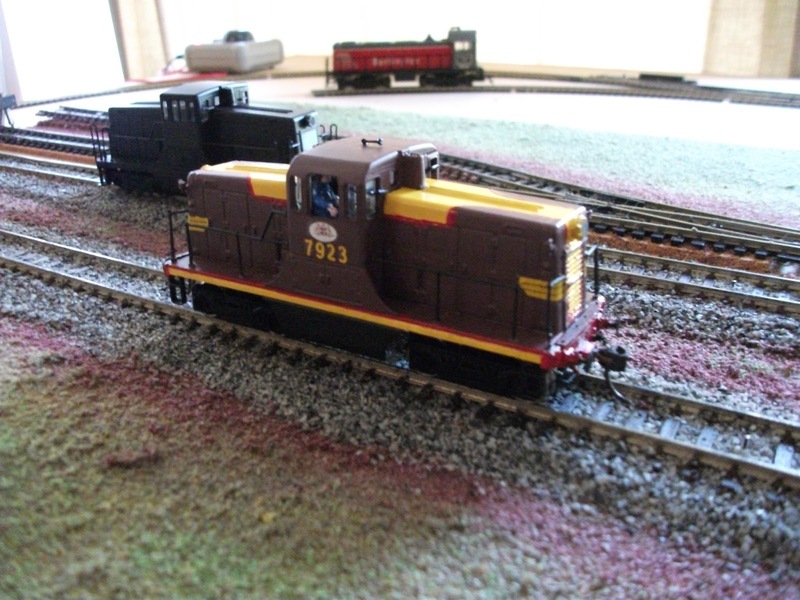 But I came across a good deal on a brand new, undecorated DCC on board, GE switcher. So I though I would have another crack at the conversion and on sell it to generate a little more spending monies. 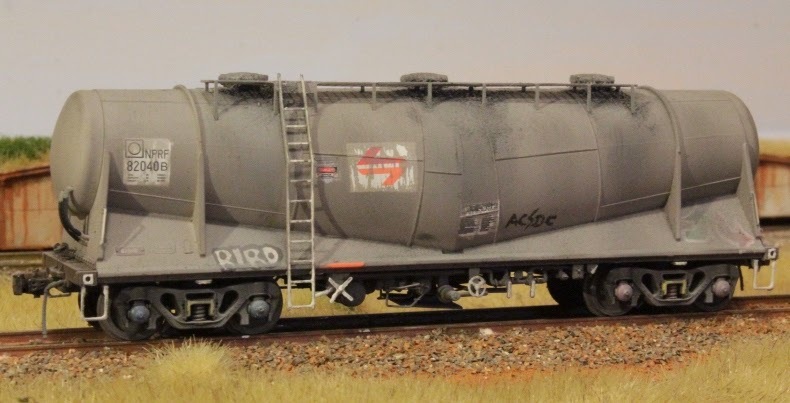 It's a relatively easy conversion, The main and most involved modification is the profiling of the cab roof, with the only additions are some bottle buffers, some hand made coupler release bars and that's really about it, the other mods are just removal of un needed parts. 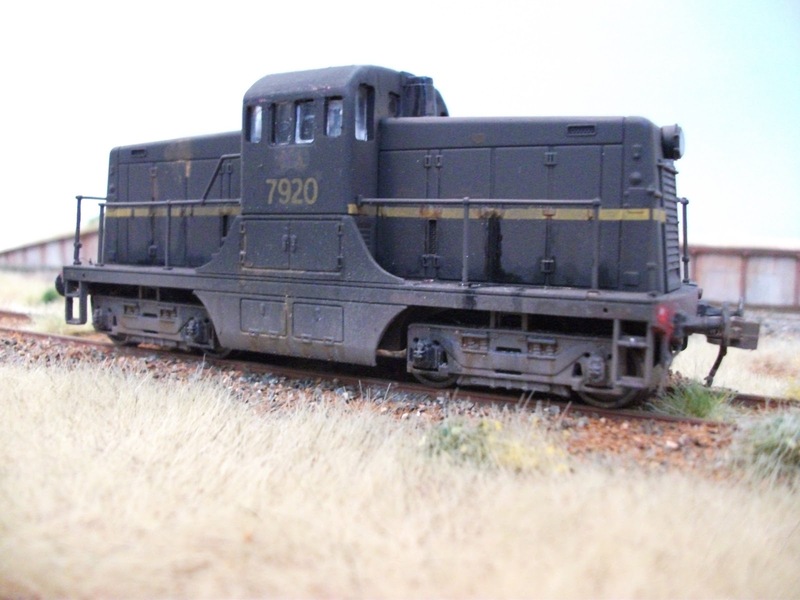 And this afternoon I spent a little time to complete the job with some weathering using some pics I found of 7920 in Sydney terminal 1972. Photo's taken on my new photographic module. (almost finished). 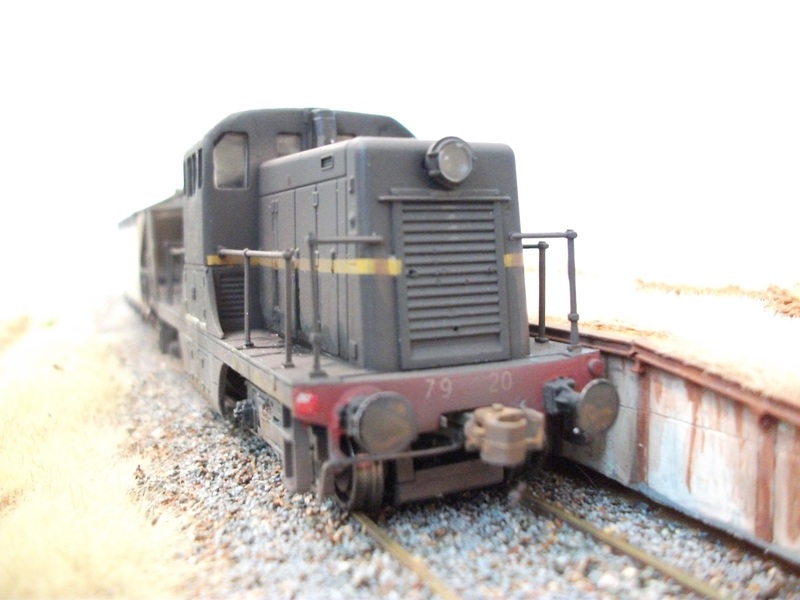 And a shot of the first conversion i did Circa 2009, 7923 featuring the adapted 'Tuscan' scheme. 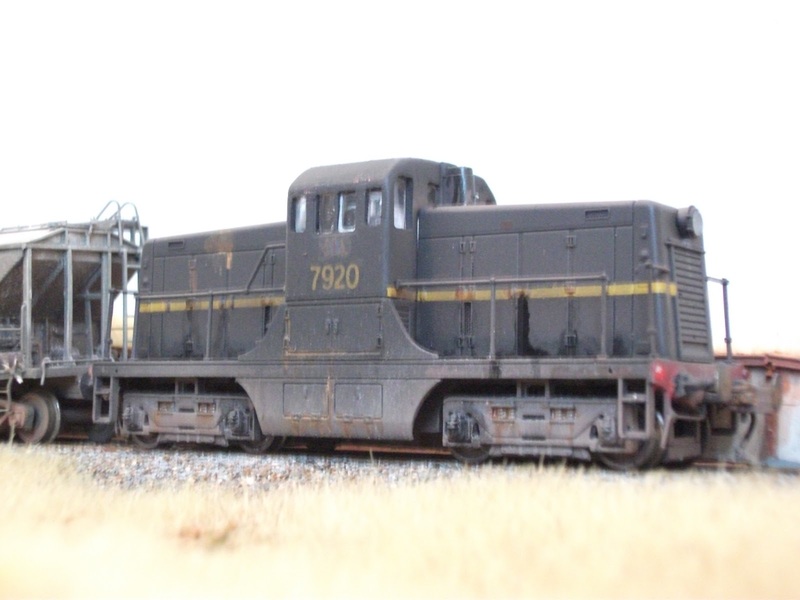 7920 is for sale on eBay.